Here is a wonderful stocking stuffer or small gift! Perfect for thank you notes, a quick hello, good job note, postcards come in handy for many different occasions. 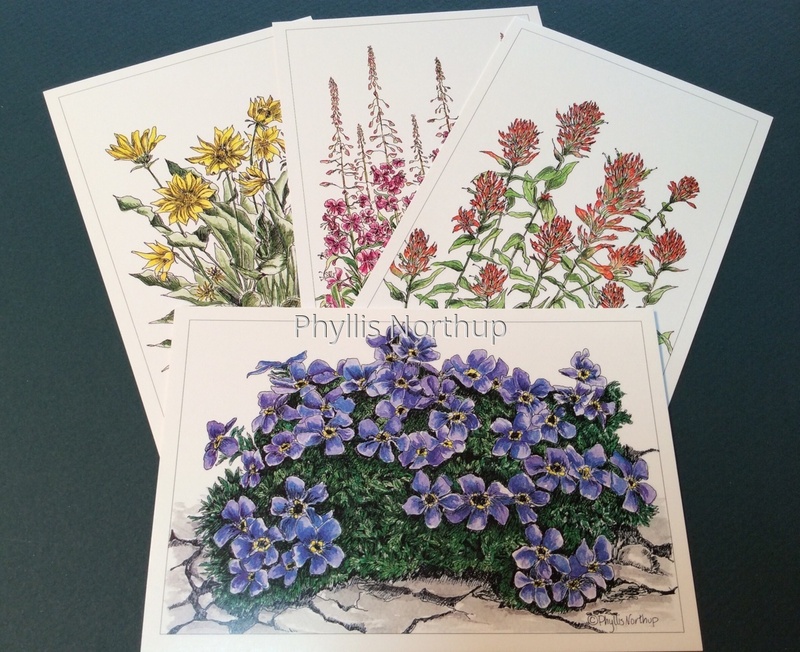 Printed from my original ink and Watercolors and available in a 16 pack with four each of alpine forget me nots, paintbrush, fireweed and arrow leaf balsamroot. Also lovely to frame! Price includes shipping.